When it comes to gripping novels of unrelenting suspense, Julie Garwood is in a class by herself. In the course of her career, she has mastered the art of creating characters who live and breathe in compelling, page-burning stories that never fail to surprise. As her legion of fans can attest, she strikes the perfect balance between excitement and insight, action and heart. 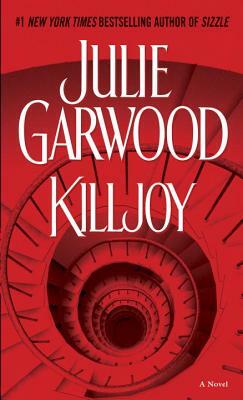 Now, in this breathless new novel, Garwood has written her most electrifying thriller to date. Avery Delaney has always tried to put the past far behind her. Abandoned by her rapacious, conniving mother when she was only three days old, Avery was raised by her grandmother and beloved aunt Carolyn. Then, when she was eleven, she witnessed her grandmother's violent death, before Avery herself was shot and left for dead. Miraculously she survived. The man responsible is serving time in a Florida prison. This traumatic experience propels Avery into a life of law and order. Her razor-sharp mind and ability to gather data and decipher evidence has made Avery an expert crime analyst for the FBI. But soon she will have to use every one of her adroit skills on a case that hits painfully close to home. Avery's workaholic aunt, Carolyn Salvetti, is certain her (hopefully soon-to-be ex) husband sent her the gold embossed reservation to the posh Utopia Spa in the mountains of Colorado. At first she is resistant, but then figures it will be a welcome respite from the cutthroat advertising business, not to mention a networking extravaganza. Plus she persuades her niece to join her for the two weeks of luxury and decadence. But Carolyn never makes it to Utopia. Under false pretenses, she is taken to an isolated retreat by a handsome stranger with a dazzling smile, suave demeanor, and the darkest of motives. His name is Monk, a hired assassin. Now, with scant clues and fewer resources, Avery must track down and save Carolyn--and outmaneuver a brilliant killer who is part of an elaborate plot of madness and lethal vengeance.